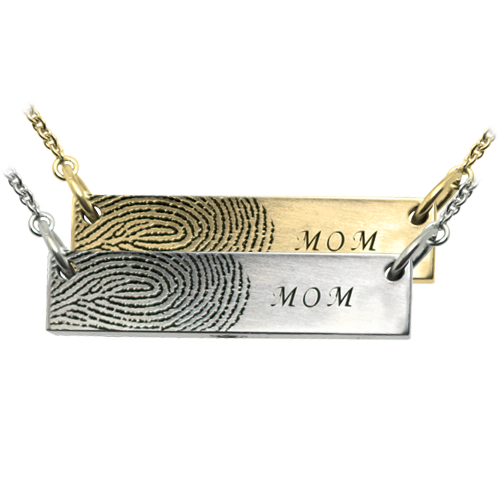 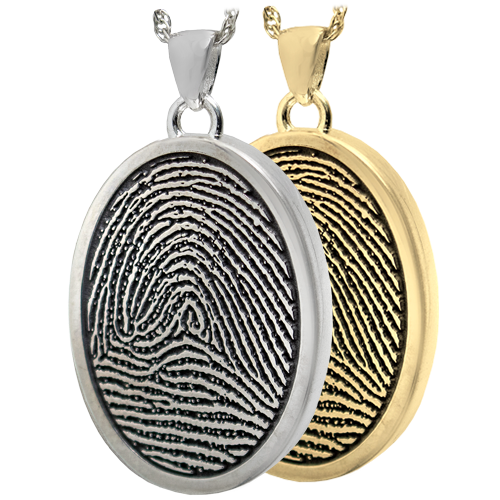 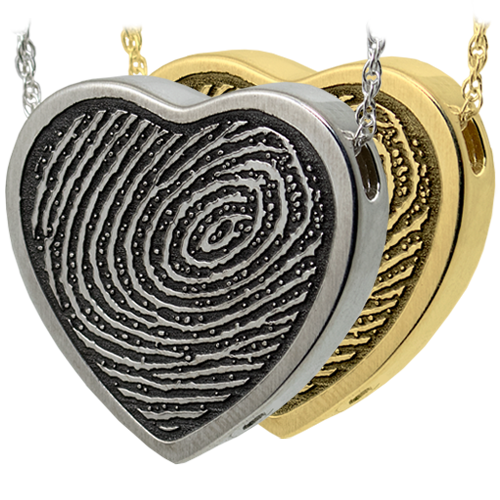 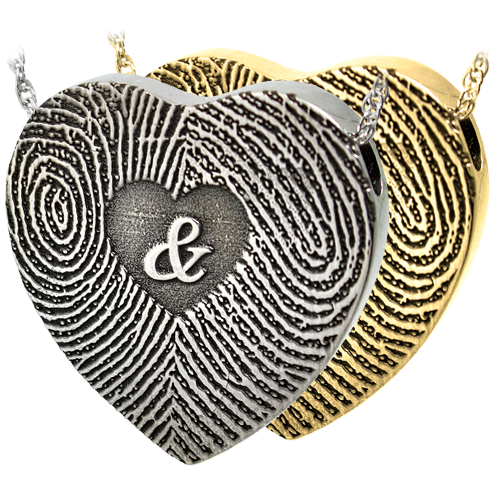 Fingerprint necklaces are arguably the ultimate personalized gift item. 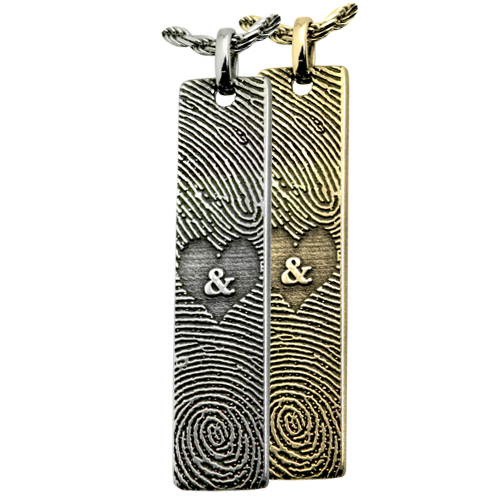 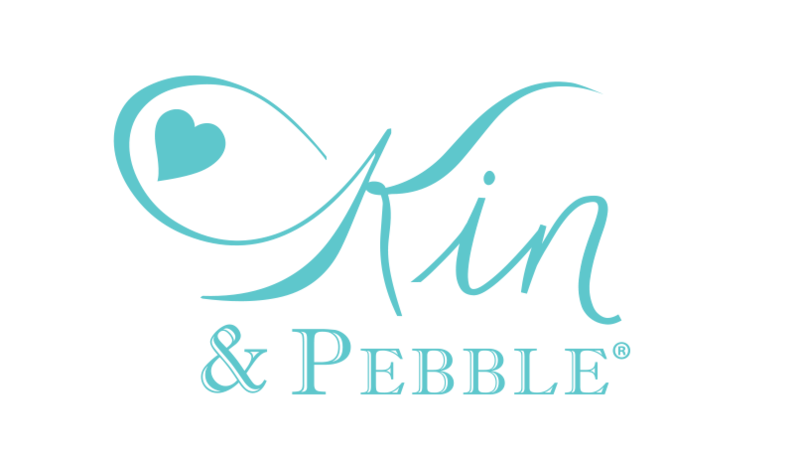 Pictured above at center is a wedding memento jewelry necklace with the bride’s thumbprint on one side and the groom’s on the other rendered on a heart-shaped charm; below is another duo fingerprint design on a classic bar pendant inscribed with the couple's name. 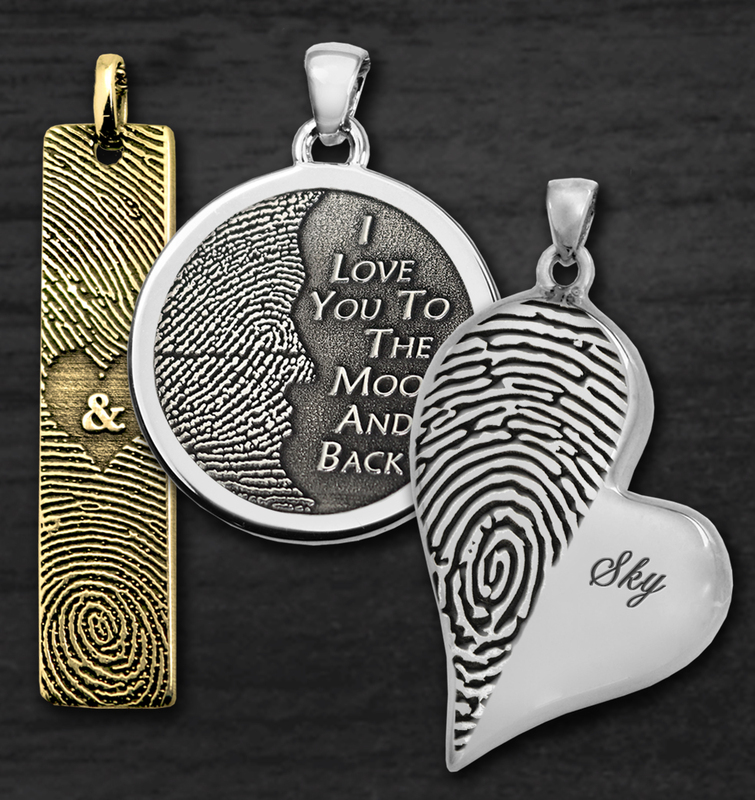 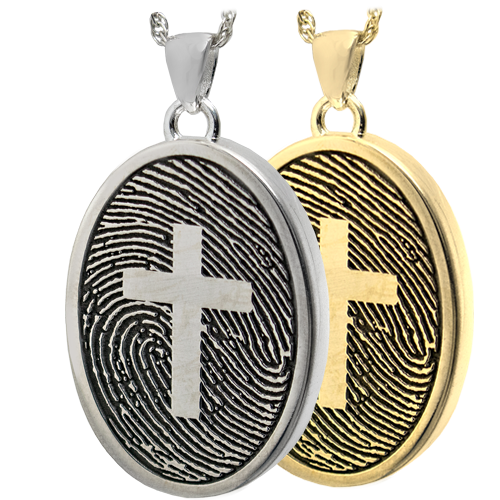 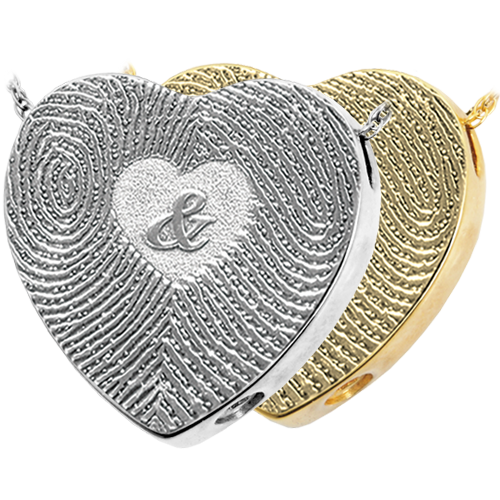 On the right is a piece commemorating a birth with the baby's footprints inside a heart border at the center of the mother's fingerprint on a timeless oval pendant. 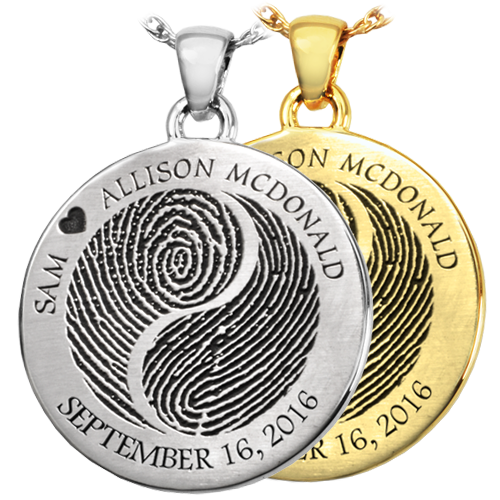 The left showcases a great gift for Mother's Day with a design of her three children's fingerprints on our elegant round pendant. 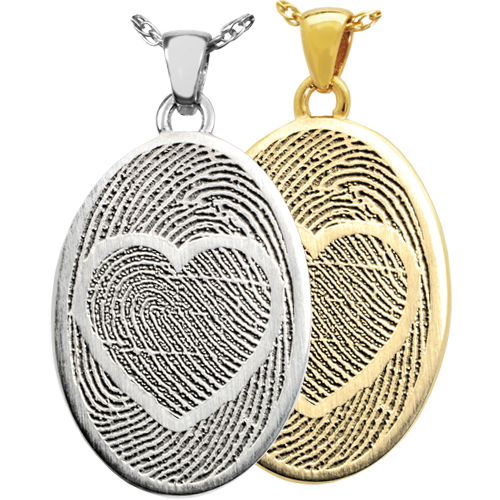 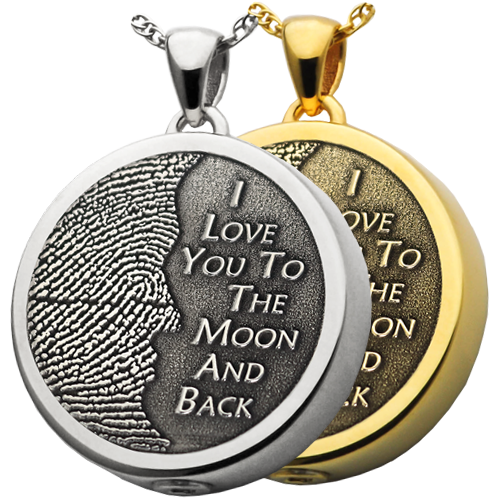 We also offer other fingerprint jewelry and accessories like a handsome stainless steel custom fingerprint pocket knife that could be a Christmas gift from a grandfather to his grandson. 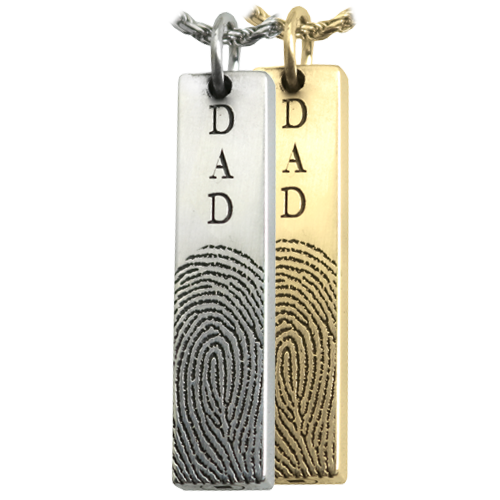 Or a father’s legacy memorial, a handsome solid-sterling-silver memorial fingerprint ring for each of his kin. 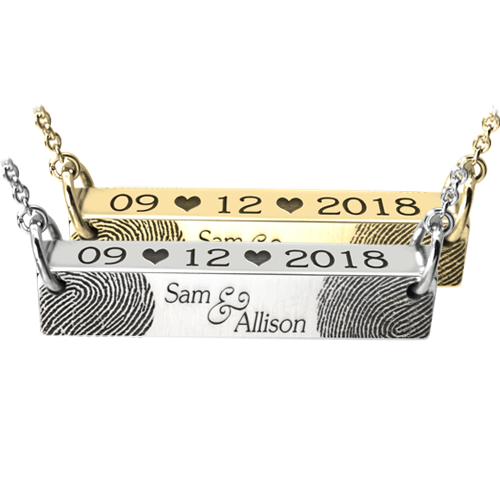 Gifts like these are far more than merchandise, they are treasured souvenirs that help us capture a moment in time and remind us of the importance of friends and family. 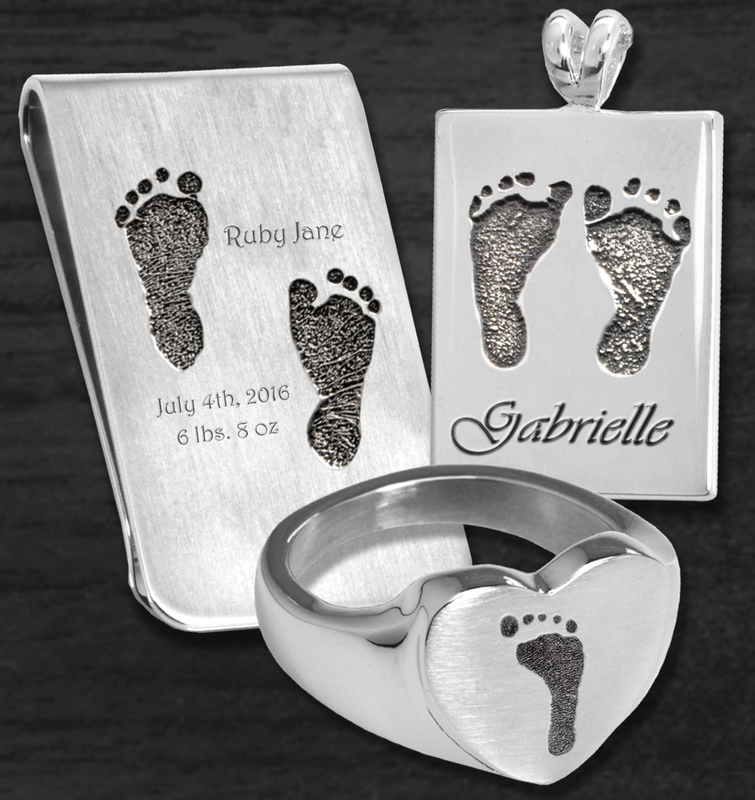 There are several ways to capture prints. 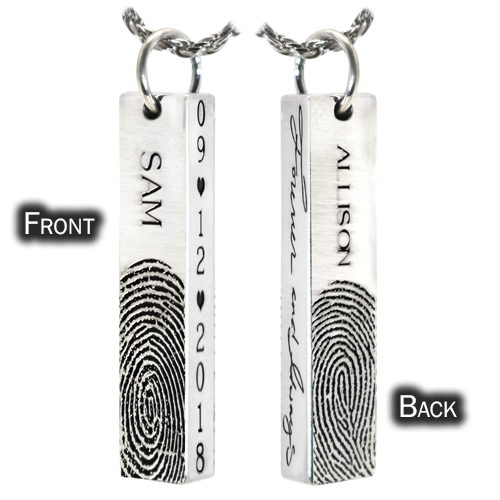 You may use a fingerprint scanner, ink pad on white paper or take a high resolution digital photo of a print from identification that uses fingerprints. For Ink pad and plain white paper- Black ink works best. 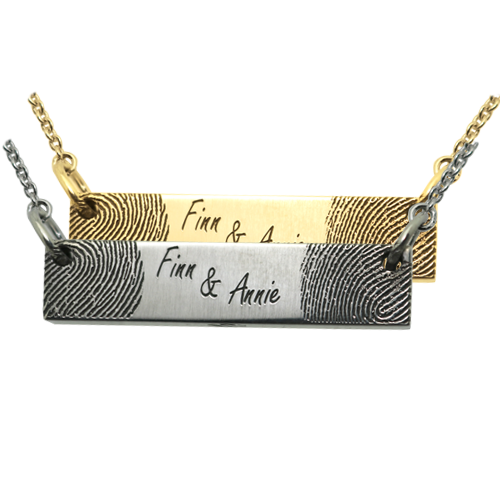 Lightly touch the inked surface twice and then press onto paper. 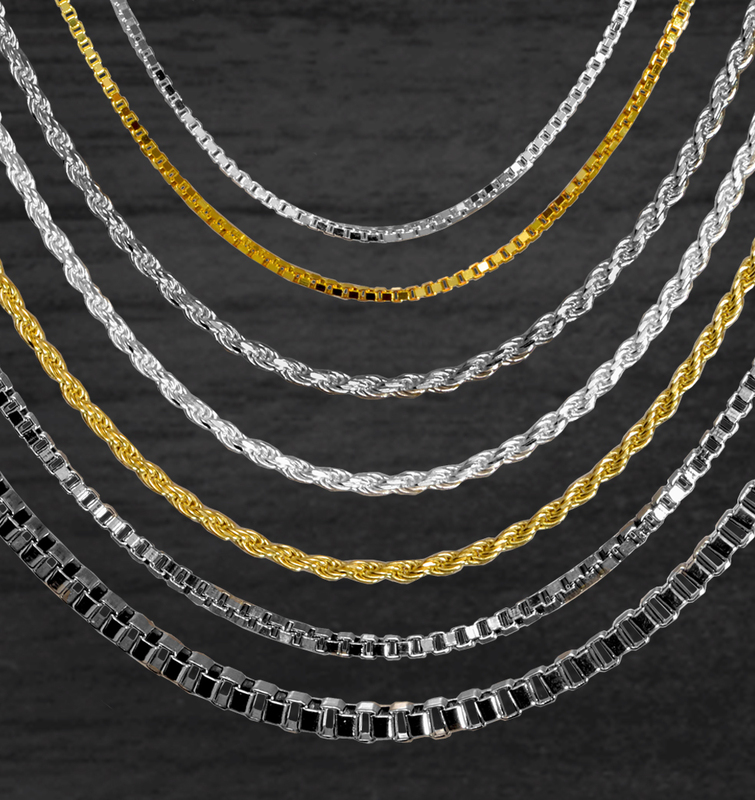 Use more of a tapping motion than a rolling one. 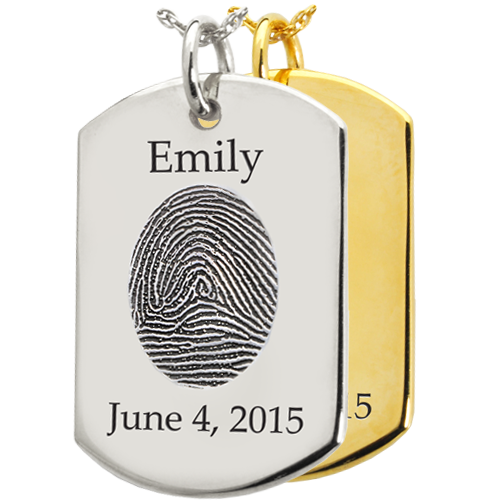 Take a high resolution digital photo of the best print. 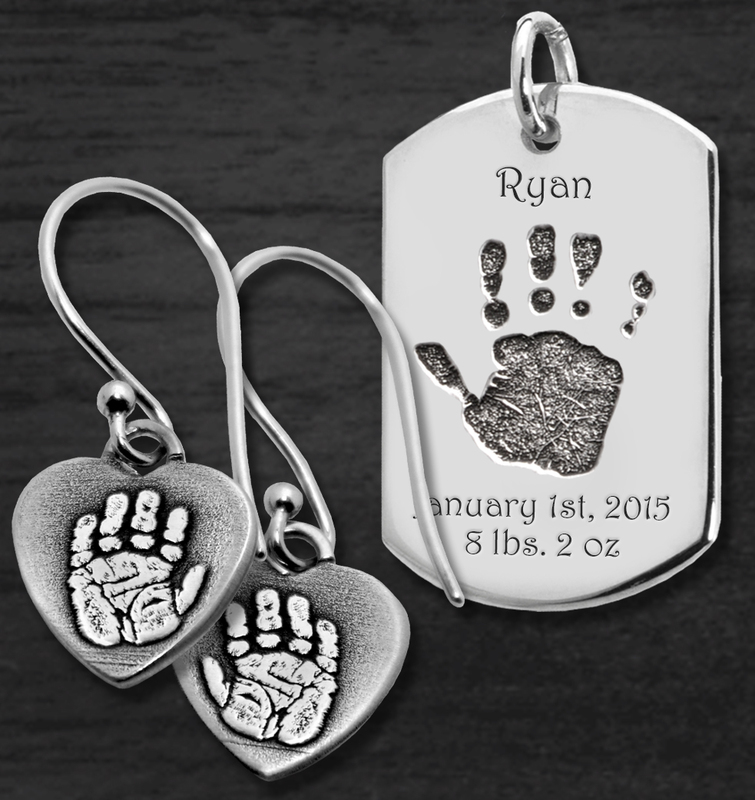 For best results, fill frame, make sure there is good lighting and sharp focus. 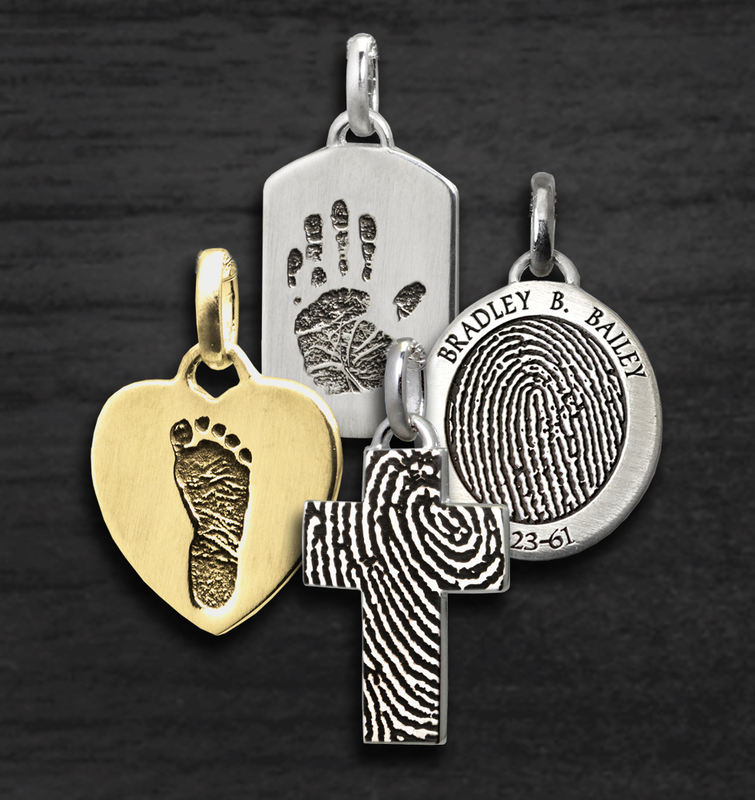 How to submit your print- use the upload feature of the product or email to service@baileyandbailey.com with Order Number included (JPG file preferred).